Established in 2005, Mike Smith Joinery offers a range of bespoke services in the North West. With more than twenty years' experience in joinery, we take immense pride in every job we do, we understand that your house is your home. Each project we carry out is tailor made to meet your needs and expectations. 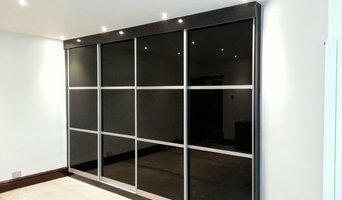 Ensuring the client is happy and that every single job is finished to an extremely high standard. We will work with you from start to finish, designing and creating your vision, whether for your home or business.We offer a bespoke made to measure service so that no matter what furniture is required it fits perfectly. 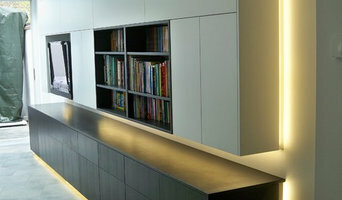 Please browse our gallery to see just a small example of the many projects we have worked on. Please don't hesitate to contact us to discuss your requirements and to arrange a free, no obligation quote. We look forward to hearing from you. Robinson-King is a creative business born out of the passion for creating interiors which balance aesthetic beauty with functional practicality. 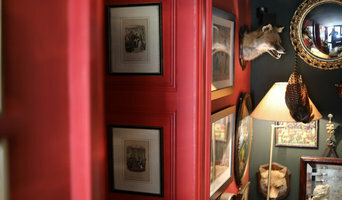 We always strive to think outside the box when considering interior solutions. A dynamic collaborative team who work closely with clients across a number of interior disciplines, Robinson King has a constant focus on quality from materials to design drawings. We can make beautifully fashioned and thoughtfully designed furniture. We can construct quality interior architectural features from detailed doors to bespoke plantation shutters. We can design, manufacture and install oak framed buildings. We can offer residential and commercial interior design services from our qualified team. We can provide all aspects of mechanical and electrical carried out by our long-standing sister company Robinsons Property Services. We can offer full turn key solutions for commercial applications. We can work on a small one-off piece for your home. The Jack Badger team are a group of highly skilled craftsmen who have grown together over the past 25 years. Each team member shares the Jack Badger philosophy and prides themselves on their ability to create beautiful products for the home which will inspire for a lifetime. The team have come on quite a journey together to reach where they are today; refining their skills and adapting their style to make stunning handmade craftsmanship accessible for every home and person of discerning taste. I provide professional joinery and carpentry services covering the north west, offering outstanding craftsmanship and exceptional customer service. I carry out all work personally to ensure every job is finished to the highest standard. Patchett Joinery is a family run firm based in Bradford, Yorkshire, producing the very best in timber windows and doors. Founded in 1840, Patchett Joinery began as a general joinery firm which meant we made anything a customer required, from coffins and carts to doors and desks. 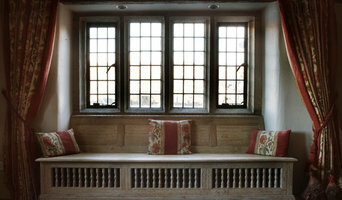 In 2011, Patchett Joinery moved to specialise in making quality windows and doors. Our focus is manufacturing products to the highest standard using the materials that best meet our customers’ needs. We pride ourselves on having over 170 years of industry expertise and blend this insight and skill with the latest technological advances to create premium, products that stand the test of time, every time. Patchett Joinery – Where Heritage Meets Innovation Building on 19th century foundations as a traditional joinery company, we continue to bring our unrivalled expertise and experience to the demands of today’s wood windows and doors market. Combining the carefully-honed skills of our timber craftsmen with the latest advances in technology and automated machinery ensures we create quality products that look great and stay that way for years to come. Covering England, Wales and the Channel Islands, Jarrods Ltd specialises in the creation of bespoke staircases as well as staircase renovations, always offering a highly professional and uniquely personal service. With a craftsman’s eye, Jarrod’s approach harkens back to the skills, abilities and customer service more associated with days gone by. We design and create bespoke fitted furniture and Joinery Products We also specialize in new staircases and renovating existing stairs. All aspects of Joinery and Carpentry are covered. Please see our website for further information. Inspired by the beauty and precision of historical detail and experienced in the use of modern materials and techniques, Hetherington Newman are the award-winning makers of bespoke furniture and architectural joinery. Sykes joinery contractors are your local carpenter in Bolton, featured in the best of Bolton and have more than 8 years of trade experience. Together with our regular sub contractors, who take care of all our certified works (gas, electricity etc), we can supply all services utilising highly trained, fully qualified carpenters, gas safe approved fitters, Decorators, plasterers, bricklayers & electricians. eBuild Joinery is a Chorley based Joinery and Building company covering the Northwest. Providing high quality joinery and Building projects to suit all budgets, ensures great value for money to both domestic and commercial clients alike. Formed in 2011 by a former project Manager to the construction industry with over 14 years experience, eBuild Joinery has delivered a number of successful projects on deadline, on budget and to the highest quality. At KWM Carpentry, we always provide a friendly, relible and profesional service. With a wide range of skills within the team, we will be happy to discuss any requirements. No job to small. We provide a free home visit to discuss your requirements and will provide a free no obligation quotation on request. We will also offer advice and support whenever appropriate, and ensure that all works is carried out in a thorough and professional manner. So for further information on our high quality services, please Contact us today. Time-served joiner with city and guild qualifications and 30 years experience in the construction industry. Considerate, polite and giving the customer their exact requirements are all part of the service alongside the quality of the workmanship. Gaining the majority of work from feedback and recommendations you can be assured of a top class job. When deciding whether to employ a joiner or carpenter in Manchester, it is best to pick your professional according to their experience on projects similar to your own. For example, installing bespoke joinery such as a staircase involves significant structural work and you might want to work with a carpenter in Manchester with considerable experience in bespoke staircase joinery. You will often find you need to employ both a carpenter and joiner on a single project, and some firms will offer both skillsets which can simplify your overall hiring process. Where can I find a good Manchester carpenter or joiner? On Houzz there are many professional Manchester carpenters and joiners that specialise in providing a full carpentry service or bespoke joinery in Manchester, whether dealing with fitted or freestanding, traditional or contemporary furniture. Simply search for a joiner or carpenter in Manchester in the Find Pros category, then add images of designs that you like to an Ideabook and contact those on your shortlist. If you need reassurance beyond photos of their work and reviews of previous clients, then you might check to see if the carpenter or joiner is a member of The Institute of Carpenters (IOC), The Guild of Master Craftsmen, the British Woodworking Federation (BWF) or the Federation of Master Builders (FMB). Each asks its members to meet a certain level of expertise and abide by a code of conduct. Have a face-to-face consultation – basic brief and image references in hand – see which joiner or carpenter in Manchester is the easiest to get along with and who best understands what you’re trying to achieve. How long have you been a joiner or carpenter in Manchester? 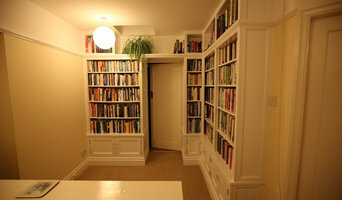 Do you offer bespoke joinery in Manchester as well as standard carpentry? Find a carpenter or joiner on Houzz. Narrow your search in the Professionals section of the website to Manchester joiner and carpenter professionals. You can also look through photos of woodwork and bespoke joinery in Manchester by style to find a design you like, then contact the joiner or carpenter in Manchester that worked on it.